Spring is just around the corner, and soon the world’s eyes will gaze upon the clouds of pink blossoms of Washington’s famous cherry trees encircling the Tidal Basin. The trees from Japan, planted in 1912 and now numbering 3,750, are predicted to peak in their glory at the end of March. That’s when the blossoms of some other signature trees of the city will appear. Look for the pinkish-white blooms 3-4 inches across of the star magnolia, another Asian import. Also look for the saucer magnolia’s even bigger white (or pink or maroon) blooms. Trees that grow flowers before they grow leaves are spectacular. But now I’m looking closely at the buds of other trees, not yet with flowers or leaves. As a Restore Mass Ave Treekeeper, I and my dedicated colleagues help to care for the signature trees of Embassy Row. I love looking close-up at the distinctive buds of different types of trees. Just now the lindens (or basswoods) show only their buds, which are dark red. These will separate at the tips to grow new shoots and leaves; the linden’s fragrant blossoms only come later, in June. 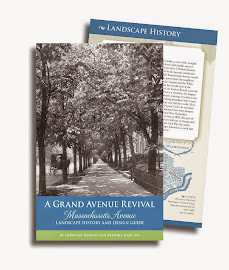 Massachusetts Avenue is lucky to be planted with American elms of the disease-resistant varieties ‘Princeton’ and ‘Valley Forge.’ In coming weeks, from their buds will emerge 1/8 inch wide greenish flowers and elliptical ‘keys’ bearing seeds; still other buds will grow the new shoots that become branches. 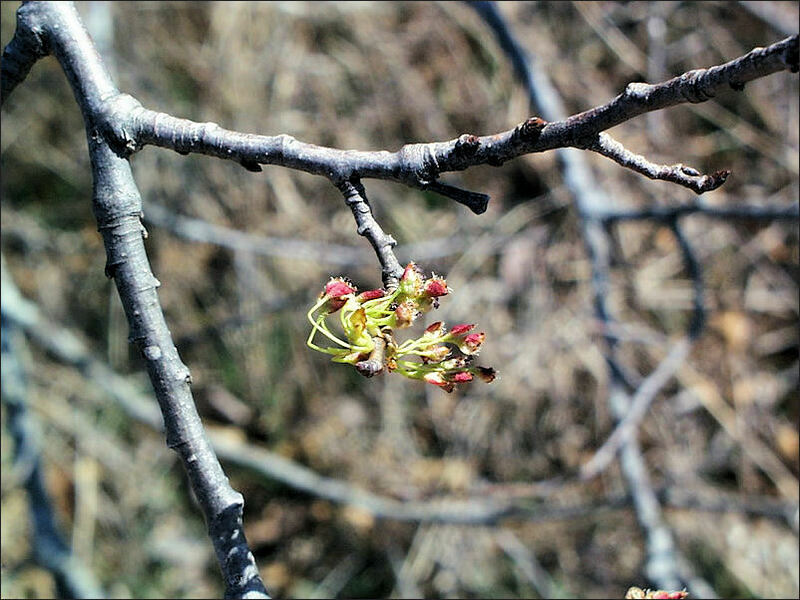 American elm flowers emerging in early spring. 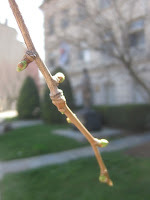 The buds we see now formed inside the branches months ago. They were dormant all winter. Now as temperatures rise they break out to grow new shoots and leaves. Red maple trees are among the earliest to strut their stuff. They produce tiny red flowers in nearly stalkless clusters before producing leaves. Red maples are already prolific, with the largest distribution of any tree species on the East Coast. In a sign of our changing climate, a 2001 study found that, since 1970, this tree is blossoming on average at least 19 days earlier in Washington, D.C. In summary, Washington ranks very highly in the magnificence of its spring foliage among American, and maybe global, cities. Do you have a favorite spring-blooming or spring-budding tree? Tell us about it by posting a comment in the space below. Left: Buds on a young ginkgo tree on Sheridan Circle. Right: I update RMA's log of sites needing trees along Embassy Row.